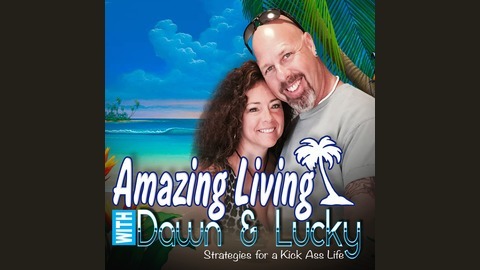 Amazing Living with Dawn & Lucky is for folks who are sick and tired of average, common, mediocre, and ordinary, and are ready to take their lives to Amazing. This is NOT philosophy 101, book recital, or coffee talk. This is coming out of real life experience, from to people who are actually LIVING IT!!! 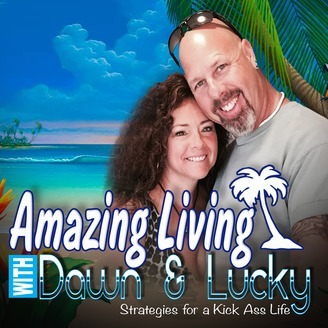 EP033 "As Good As It Gets"
In this episode of Amazing Living with Dawn & Lucky, we share how we have gone from the brink of suicide, to making our life as good as it can get. And, how you can too. EP029 "The Struggle Is Real"